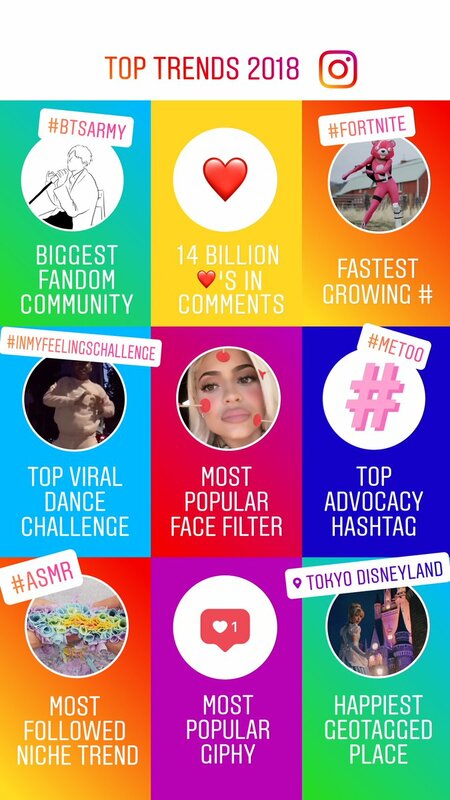 Instagram has released its listing of top trends for 2018, highlighting the most popular GIFs, filters and communities for the year. Facebook has provided an update on the performance of its Watch video platform, while also expanding it to more surfaces and expanding its ad tools. YouTube has reported new figures on content removals based on violations of its rules and guidelines.